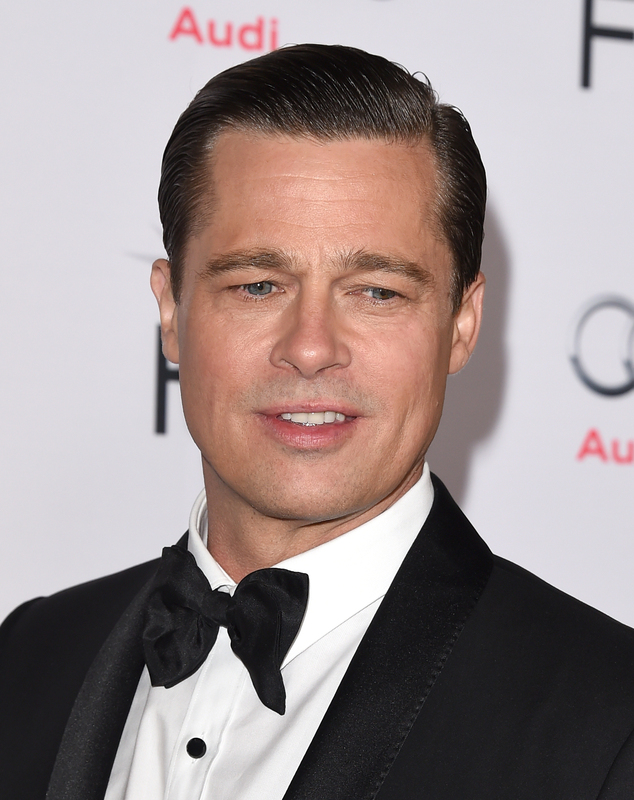 After troubling reports surfaced Thursday morning, the LAPD is now denying that Brad Pitt is under investigation for child abuse, according to multiple sources. The original reports, which were made by People and TMZ, reported that Pitt was under investigation for allegedly being verbally abusive toward and allegedly "getting physical" with his children on a private plane last week and that an anonymous source led to police and the L.A. Department of Child and Family Services getting involved in the case. TMZ also claimed that the alleged incident could have been what led to his divorce from Angelina Jolie. But now, it seems those reports are false, according to several statements from police. Bustle has reached out to Pitt's rep and the LAPD regarding the claims, but has not yet received a response. Update: People is reporting that while the LAPD is not investigating abuse allegations against Pitt, a source claimed to the publication that the L.A. County Department of Children and Family Services is looking into the alleged incident. Bustle has reached out to the L.A. DCFS, but has not yet received a response. Update 2: The L.A. DCFS Public Information Officer told Us Weekly: "We’re prohibited by law from disclosing case specific information or even identifying any involvement with any client." Earlier: "We only found out through calls this morning, we contacted divisions that would be handling it and they’ve said no," a spokesperson for the LAPD told The Independent. The site adds that a source says that the actor denies the allegations, as well. "LAPD is not handling any report or allegations into child abuse for Mr. Brad Pitt ... We don’t have anything on Brad Pitt right now. We have confirmed with the detectives, and according to our detectives there are no active investigations regarding Brad Pitt." "We have no criminal investigation that we are actively pursuing. To my knowledge, [Pitt talking to police] never happened. And right now, that is where our office is. We are not investigating any case, nor do we have any allegations against Mr. Pitt. We understand how rumors get spun up and hopefully we can put a few of them to rest. We have no investigation involving Mr. Pitt."